The Purple One, who once sang the praises of a woman masturbating with a magazine in a hotel lobby is now singing the praises of women who are forced to wear burqas. "It's fun being in Islamic countries, to know there's only one religion. There's order. You wear a burqa. There's no choice. People are happy with that." When asked about the fate of those unhappy with having no choice, he replied: "There are people who are unhappy with everything. There's a dark side to everything." 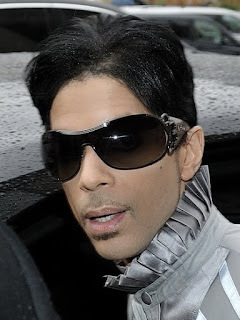 Prince began embracing religion around 2001, when he became a Jehovah's Witness (a move that many fans think ruined his music). "I was anti-authoritarian but at the same time I was a loving tyrant," he told the Guardian. "You can't be both. I had to learn what authority was. That's what the Bible teaches. The Bible is a study guide for social interaction. "If I go to a place where I don't feel stressed and there's no car alarms and airplanes overhead, then you understand what noise pollution is. Noise is a society that has no God, that has no glue. We can't do what we want to do all the time. If you don't have boundaries, what then?" The full interview will appear on The Guardian's Film and Music section on Friday.